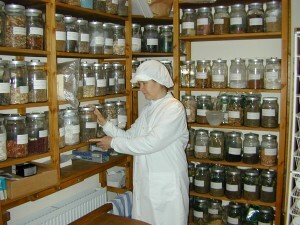 The pharmacy has hundreds of individual herbs both dried and powdered which are then mixed to provide a tailor made prescription for individual patients. Sarah Bentley is our pharmacist which means that individual prescriptions can be prepared within 24 hours, or even the same day if urgent. Having the onsite pharmacy means that we can control the quality of the herbs provided for you more effectively.